Keeping an eye on your business in a glance. With Klipfolio, you can virtually connect every data sources to create mind-blowing automated dashboards. Are you creating reports based on data from multiple systems to inform your manager, team, clients or yourselves on a weekly basis? And are those reports always in a same format? Often this way of reporting has large disadvantages. A lot of time is spent on creating and checking these reports. This could be due to a variety in usage methods since lot's of reporting systems can be complicated. Or it's unclear how to setup these systems in a right manner. But also having to provide your login credentials over and over again can be a hassle when using multiple systems. Using Klipfolio you can automate these processes and report on data hassle-free! It helps you to keep an eye on your most important data. It provides insights in the performance of your business. It reduces the risk on misinterpretation of data within teams. Dashboards are a perfect tool for visualising business data. With Klipfolio you can present data in powerful graphs, diagrams, tables and many more. Klipfolio is a cloud-based application for designing and sharing (near) real-time dashboards. Statistics and results from multiple data sources are automated and combined in one single source of truth so you can have an overview of your KPIs and metrics virtually anywhere and anytime. Klipfolio dashboards are 100% Cloud based, providing access with every internet connected device. Real-time dashboards: Respond and steer pro-actively. Sahring dashboards with team members or even clients to create more commitment. Viewing your dashboard on a notebook, tablet, mobile or stream it to a wallboard. Virtually any possible data source, over 300 default integrations like Google Analytics, Google AdWords, Facebook and MySQL. Over 100 default dashboards to work with. The only thing you've to do, is to connect your data source. Low monthly pricing. Creating 4 dashboards and access to 300+ data sources starting at € 29,- per month for 4 users. Besides the default integrations and templates, Klipfolio stands out in tailor-made dashboards for your business. Nothing beats a custom made dashboard that suits your business and provides insights in your KPIs and metrics. Using APIs and custom data source connectors the potential of Klipfolio is enormous! i-spark is one of the few Certified Experts in Europe. We dare saying we control Klipfolio dashboards to a very high standard. We support many companies and marketing agencies as well to implement dashboards. Composing a number of pre-defined visualization is easy, but for tailor-made insights a steep learning curve applies. 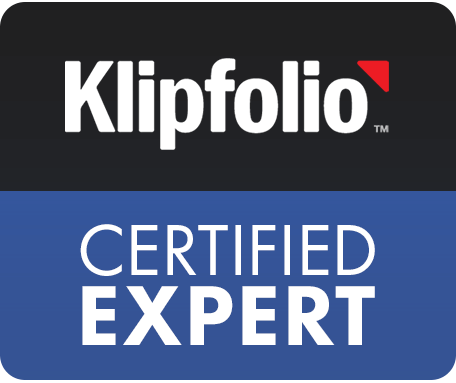 Do you want to order a Klipfolio dashboard or are you stuck in the process and need assistance? Please contact us !